Founder member of groundbreaking rap group, Public Enemy, Chuck D first found his voice in the political and socially conscious lyrics of rap and hip hop. One of the driving forces behind this new style, he went on to work with all the greats of the business at one time or another. His influence grew through a huge online presence, which included a web TV and radio station, and he was a strong advocate of peer to peer sharing of MP3s in the face of the strict copyright laws of the time. However, music was just the beginning for Chuck D. Over the next few decades, he would rise to become what Billboard magazine describes as ‘one of the most intelligent and articulate spokesmen for the black community’. In that time he has testified before Congress, joined the board of the Trans Africa Forum and been a regular presence on American TV screens as Fox News’ go-to commentator on social and racial issues. 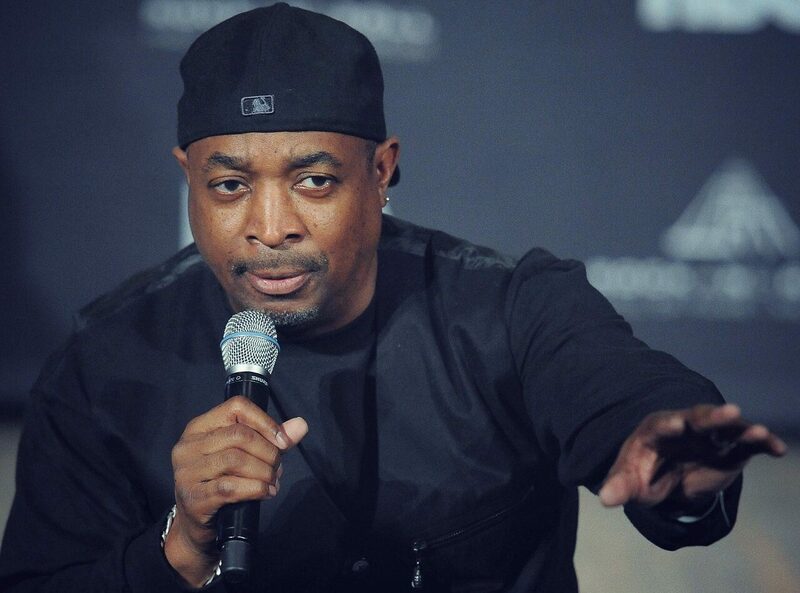 In his widely acclaimed book, ‘Fight the Power’, Chuck D speaks out forcefully on a wide range of issues, from education to the economy, from Hollywood to the American music industry, holding each to account in his own unique way. He has taken his ideas and inspiration on the road, becoming one of the most in-demand speakers on the US college lecture circuit. His talks are renowned for their forthright opinions and challenging nature, as he asks his audience to look at the world in a new way and demand that it changes for the better.